July 1, 2018, a day that will live in infamy to New York Islanders fans. This date, of course, alludes to John Tavares, the former captain, and franchise cornerstone of the Isles, signing a blockbuster deal with his hometown Toronto Maple Leafs. A mere nine months later, the Islanders clinched home-ice in the first round of the Stanley Cup Playoffs for the first time since 1988. Their defense, the absolute worst in the NHL last season, won the Jennings Trophy, an award given to the team with the fewest goals allowed. Tavares and the Leafs, a playoff team last season, finished with 100 points. A very respectable season for Toronto, however, they finished with fewer points than the Islanders, a team that missed the playoffs last season and were projected by many to finish the season at the bottom of the standings. So how did this woebegone franchise experience such a turnaround after losing their star player? In order to answer that question, we are going to have to go back even further. The 2017-18 season was not kind to the Islanders. After a late charge the previous season following the firing of head coach Jack Capuano, the Islanders doubled down on his replacement in interim bench-boss Doug Weight. 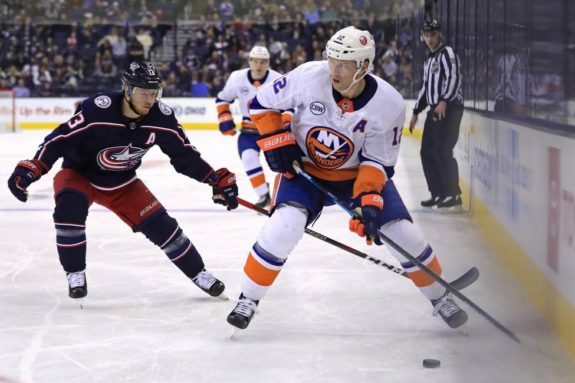 The move proved to backfire, as a season filled with questions about Tavares’ free-agency produced few bright spots aside from rookie center Mathew Barzal’s Calder-winning season. 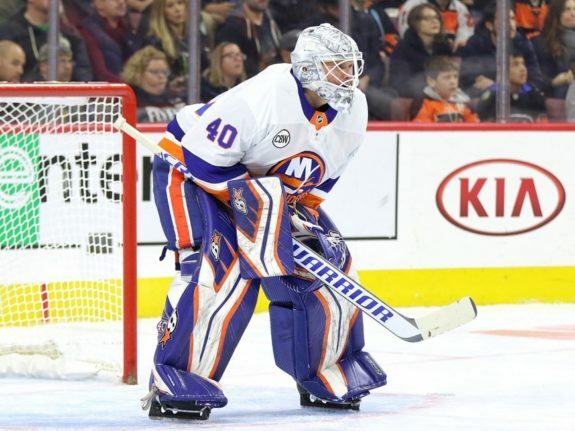 The Islanders allowed more goals than any other team in the NHL and finished with 80 points, the second-worst total in the MetropolitanDivision after the New York Rangers. It was apparent that the franchise needed a serious culture change. 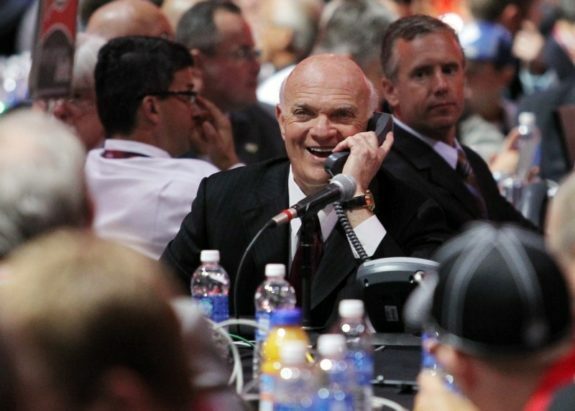 On May 22, 2018, the Islanders hired a proven winner in Lou Lamoriello, who had built a dynasty with the New Jersey Devils, as president of hockey operations. The three-time Stanley Cup champion was about to make some major modifications. Lamoriello fired Weight and general manager Garth Snow on June 5, stepping in for Snow’s position himself. The Isles’ new GM’s first order of business was to find a replacement at head coach. As fate would have it, 2018 Stanley Cup champion Barry Trotz was on the market. Trotz had left his former team, the Washington Capitals, after a contract dispute less than two weeks after winning it all. The pair of Trotz and the Islanders proved to be a match made in heaven, as the team inked Trotz to a five-year, $4 million deal on June 21. After missing out on the Tavares sweepstakes, Lamoriello made some lower-key additions that gave the Islanders depth like they hadn’t had before. 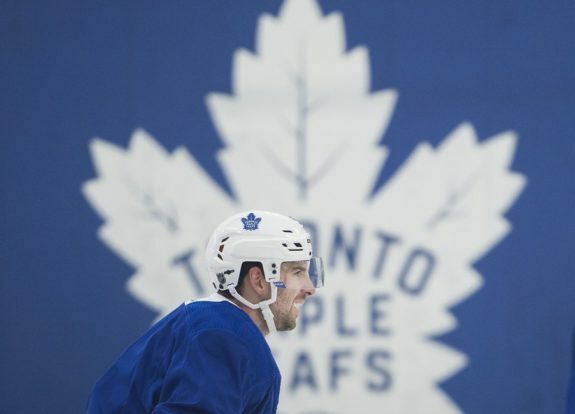 Players such as Leo Komarov and Valtteri Filppula were brought into the fold. Brock Nelson and Thomas Hickey were retained. A reunion with enforcer Matt Martin happened on July 3, and on that same day, Lamoriello made arguably the most important transaction of the offseason by signing goalie Robin Lehner. Despite these moves, the Islanders were still projected by most NHL pundits to contend for the first overall pick in the draft, rather than contend for the playoffs. After winning the first game of the season on an overtime winner by Josh Bailey against Carolina Hurricanes, the Islanders didn’t look much like a postseason contender. While they looked like a much-improved team, on Dec. 13 they sat at 14-12 with four overtime losses. Among those first few months, the Islanders experienced both highs and lows. They shut out one of the Western Conference’s finest teams in a 4-0 home victory against the San Jose Sharks on Oct. 8. They won back to back games against the Pittsburgh Penguins on Oct. 30 and Nov. 1, winning the latter in a shootout. The Islanders also had some brutal losses, such as their 5-0 loss to the crosstown rival (and one of the worst teams in the division) Rangers and a 4-1 loss to the Capitals. On Dec. 1, 2018, the Islanders made a triumphant return to their beloved Nassau Veterans Memorial Coliseum.The building located in Uniondale, New York had hosted Islanders games from the franchise’s inception in 1972 until their move to Brooklyn in 2015. The Islanders’ residence at the Barclays Center, despite a playoff series win in their inaugural season there, has been rocky at best. As the team plans to migrate back to its home on Long Island with an arena in Belmont in the works, it was decided that they would play over half of their home games at the Coliseum. 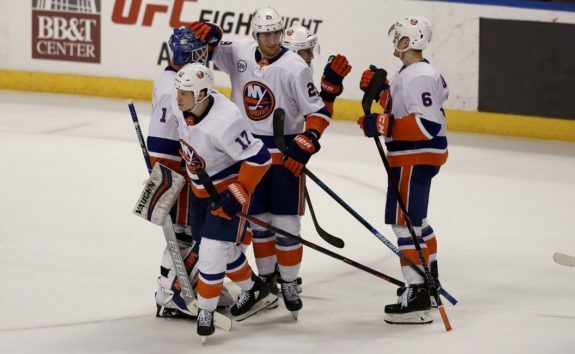 In the Isles’ first contest back at “The Barn,” they beat the Columbus Blue Jackets 3-2. The Islanders caught fire in mid-December, winning 15 of their next 18. A big part of this hot streak was the Nassau Coliseum. The Islanders won four of five games on Long Island during that stretch. By the time the All-Star Break hit, the Islanders sat atop the Metro. 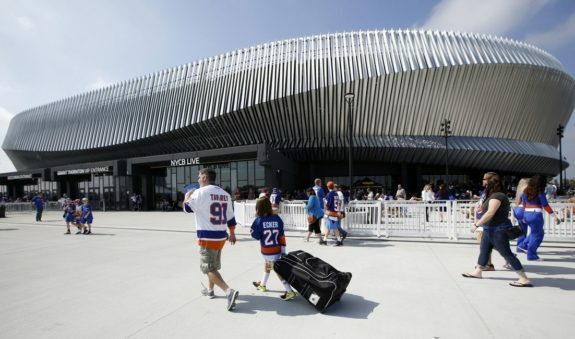 The Coliseum proved to be such a home-ice advantage for the Isles that it was announced that if they were to make the playoffs, they would play their first round home games in Uniondale. Another huge reason for the Islanders’ success has been their defense. While the unit boasts many of the same skaters that contributed to the previous season’s bottom-of-the-league defense, with Trotz at the helm the difference has been otherworldly. There is also the addition of Lehner, who after a season battling poor play and his own demons with the Buffalo Sabres, went on to start 43 games in net and put together his best single-season performance of his career. But not all of the credit is due to Lehner, as Thomas Greiss started the other 39 games in net and turned in the best statistical season of his career, as well. Lehner and Greiss have formed arguably the best goalie tandem in the NHL this season. Don’t believe me? Check the league leaders for goals allowed against and save percentage. You will find the Isles’ two goalies among the top five on both lists. Following their bye week after the All-Star Break in late January, the Islanders lost some momentum.This was expected for a team that had been so unsustainably hot going into the break. As well as the Islanders’ defense had been playing, the team’s below-average offensive output was bound to catch up to them. In one particularly tough part of the schedule in late February the team lost five of seven. The one bright spot during that stretch was an emotionally charged 6-1 drubbing of the Maple Leafs in Tavares’ first game on Long Island as a visiting player. This was an important moment in the Islanders’ season as they could have very well spiraled out of control and miss the playoffs. Instead, Trotz and his squad buckled down as the Islanders went on to win 11 of their last 17 games. While they ended up finishing second in the division, they clinched a playoff berth on March 30 in front of their home crowd with a 5-1 victory over the Sabres. On the last day of the season, in Washington D.C., the Islanders won 3-0 to clinch home ice in the first round for the first time in three decades.